Link building is the primary form of “off page SEO” and is also the most important factor in helping rank your website for the different keyword terms you’re targeting. In this post I will explain how link building works, outline some best practices as well as tell you what to avoid to help you stay out of trouble. As mentioned earlier in this series inbound links (other websites linking to your website) are essentially votes, the more other sites link to you the better your chance of ranking for the different keywords you’re targeting. This is the most simplified explanation of what links are, but unfortunately it’s not nearly as straight forward as it sounds. What do I mean by this? Well, not all links are made equal. For example, if you got a link from an MSN article then that link would hold more weight than a link from a blog that was started just yesterday. This means that someone with 10 links can outrank someone with 100 links. What Factors Give a Link More Weight and Authority? *For the sake of these explanations you must assume that every other factor is equal. If a website has been around for a decade then a link from this website will hold more weight than a link from a much younger site. If you’re website is about “helicopter engines” and you get a link from a website about food recipes then that link would hold less weight than a link from a site to do with helicopters. Think of each page on a website as having 100% link energy. If that page links to only you then you receive 100% of the link energy (more commonly referred to as link juice). However, if that page links to two websites, one to you and one to another then you will receive 50% of the link energy and the other website will get the other half. 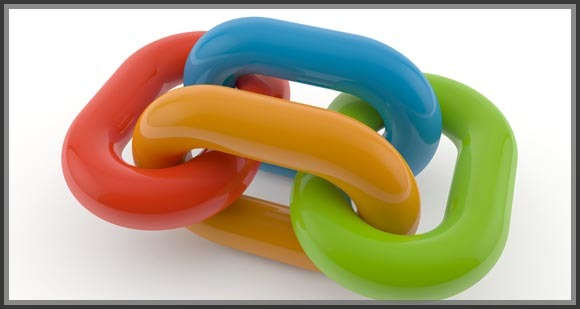 The more outbound links on any given page the less powerful your particular link ends up being. The placement of your link matters. A link in the sidebar or footer of the website will not hold the same value as a link inside a piece of content. Anchor text is the clickable visible text that links to your website. If one website links to you with the clickable text “click here” and another with the clickable text “helicopter engines” then the site linking to you with “helicopter engines” will hold more weight in helping you rank for that particular term. That being said, building too many links with the same anchor text is actually harmful to your website rankings — more on this later. If the website contains low quality content that is either full of spelling mistakes or is duplicated from another source then that link will hold less value than if the site had well written and original content. Now that you know the major factors that give a link authority and weight let’s discuss the different types of links that can be built. This is by no means a conclusive list but it covers the most common types of link building done today. These are typically the best types of links. They are the links inside the actual paragraphs of blogs, articles and other content. These are links found in blog rolls or on the site navigation menus. If it’s found towards the bottom of a webpage (outside of any content) then it is considered a footer link. If you’ve ever made a profile on a website then that profile usually has an option to add a link to your personal site. These links do not hold nearly as much value as content links but are pretty easy to build. These are links found on social media websites like facebook, digg, reddit, twitter and the like. These are links found inside comment sections of blogs. These are links found on forums, in either the actual posts or within forum signatures. These are links found on websites that publish hundreds of articles and categorize them. The links will either be found in the content of the article or the author box. These are not the same as links within content from non-article sites and do not hold the same value. These are links found on directory websites. Directory websites are structured in the same way a phone book is. These are links found on video sites like Youtube. They are generally placed in the description of the video page. Avoid building links with too many of the same anchor text. Anchor text over optimization is something Google has been targeting more in recent algorithmic updates. Sites abusing anchor text have been penalized so it’s important to fill your anchor text profile with a variation of terms both relevant and non relevant. Building links is all about creating a well-balanced and natural looking link profile. This means getting links from all sorts of sources and never focusing only on one type of link. Quality over quantity is a good rule of thumb and will help you stay out of trouble with search engines. Remember, Google and other search engines don’t want you trying to exploit your way to the top of the first page in any manipulative way. That includes building spammy looking links. Link building is an extensive subject and this article only covers the tip of the iceberg. Approach link building with caution as there are many ways to screw it up and penalize your website. If your website is brand new then my advice to you is to focus on building quality content and value for the first 6 months and only then start developing a link building strategy.